The diary of a third-grade year, as told by a loveable worrywart. It's the start of the school year, and nothing feels right to Justin. He didn't get the teacher he wanted, he's not in the same class as his best friend, and his little sister, Elizabeth, is starting kindergarten at his school. Elizabeth doesn't seem nervous at all. Justin is very nervous about third grade. And to top it off, he's lost his favorite stuffed animal, but he can't tell anyone, because technically he's too old to still have stuffed animals. Right? Here is third grade in all its complicated glory – the friendships, the fears, and the advanced math. 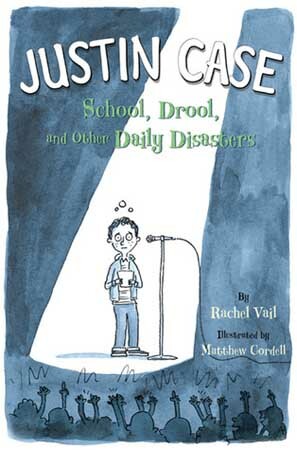 Acclaimed author Rachel Vail captures third grade with a perfect pitch, and Matthew Cordell’s illustrations are both humorous and touching. As Justin bravely tries to step out of his shell, he will step into readers' hearts.